Perk up dull, dry and fatigued skin with the Paula's Choice Refreshing Moisture Mist; a skin-loving treatment to instantly comfort and repair. Suitable for all skin types, the ultra-lightweight formula contains a blend of hydrating humectants, plant-based antioxidants and collagen amino acids, which work in tandem to combat environmental aggressors and alleviate the effects of pollutants and free radicals. As a result, the complexion is given a nourishing boost, perfect for use as a daytime toner or quick pick-me-up throughout the day. 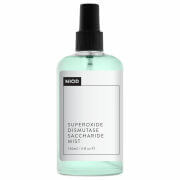 Spray over makeup to help it last longer and promote a healthy-looking glow. Hold at arm’s length from face, close eyes and mist. 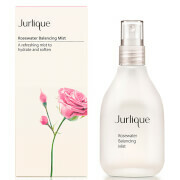 Spray on throughout the day whenever skin feels parched or needs an instant refresh. Spray it over your make-up to make it last longer. Can also be used as a toner in the evening. Aqua, Butylene Glycol, Hydroxyethyl Urea, Glycerin, Dipotassium Phosphate, Punica Granatum Extract, Collagen Amino Acids, Palmitoyl Tripeptide-8, Sodium Hyaluronate, Euterpe Oleracea Fruit Extract, Tripleurospermum Maritimum Extract, Adenosine, Panthenol, Ethylhexylglycerin, Disodium EDTA, Propylene Glycol, Phosphoric Acid, Dextran, Sodium Hydroxide, Phenoxyethanol, Potassium Sorbate. No mist, just irregular droplets. 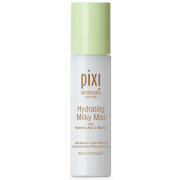 The formula is refreshing and hydrating, but it is too destructive on makeup. Will keep for non-makeup days.